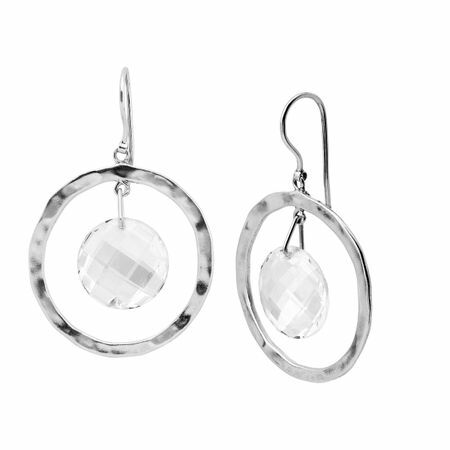 Radiate inner and outer beauty with these circular earrings, featuring white crystals suspended in each open hammered sterling silver center. Earrings measure 1 7/8 by 5/16 inches and feature French wire back findings. Pieces come with “.925” sterling silver quality stamps as symbols of guaranteed product quality.